In Queensland now and another hour nearer to home too!! Arrived at Colin and Linda's early afternoon after a nice drive up the coast and lunch on Nobbys beach in a surf club. Lovely to be staying somewhere normal again. Had a nap, a swim, played with the mental dogs and stroked the gorgeous cat . Went out that evening for a few drinkies and to a restaurant frequented by Paris Hilton whenever she's in QLD (Colin's desperate to bump into her one day). 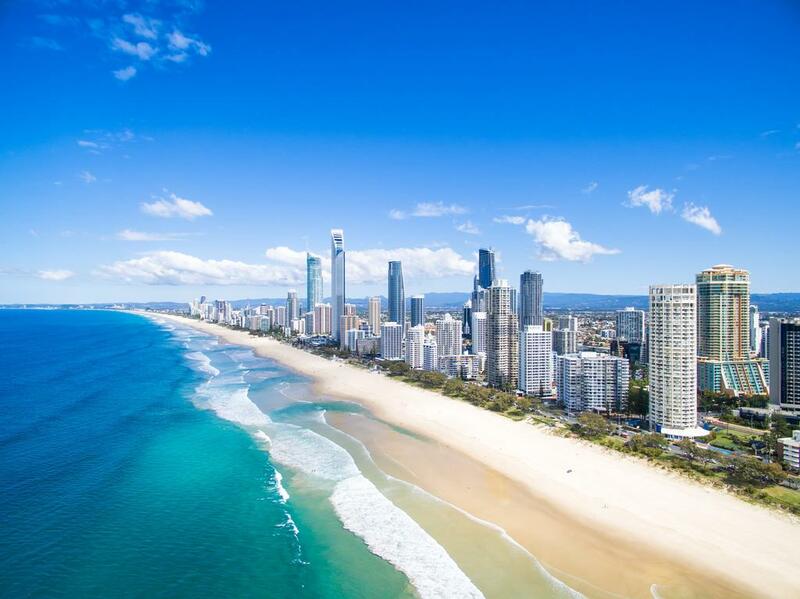 The next morning Linda gave me a lift into town and I trekked my way along the beach to surfers paradise. It's a really commercialised and busy place but like everywhere else in Oz so far the beaches are amazing. Walked most of the way back then chilled out for a bit. Went out that night for Linda's dads birthday (her parents also live over here) in a stretch limo to a lovely restaurant in Surfers Paradise. Apparently Harry Connick Jnr was dining there too but didn't see him. Got back pretty late and spent the next day on the beach all day and doing more walking (I'm turning into an old person).